Oh my, what happened to the weather last week? – it’s went and turned cool again! When it’s like this, my first thought is to retreat inside, pop on the kettle and get creative. 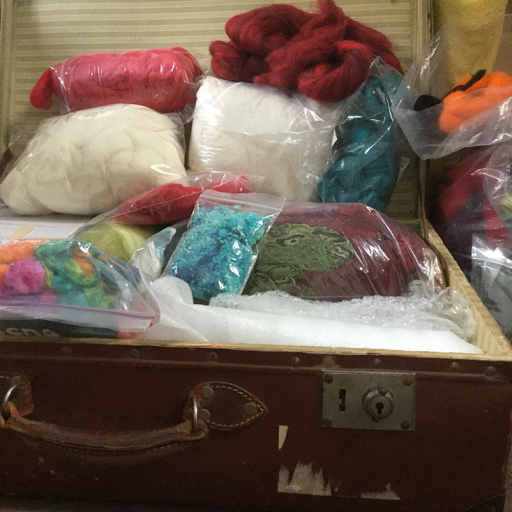 So that’s exactly what I did – out came my big suitcase full of felt making kit and I started to think about what to make. 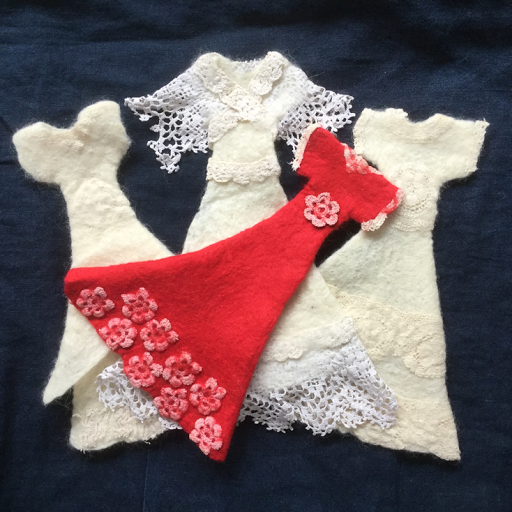 My local branch of the International Feltmakers Association are having an exhibition in Olney towards the end of the year on the theme is Lace and I’ve been pondering on what to make. Slowly an idea has been formulating. 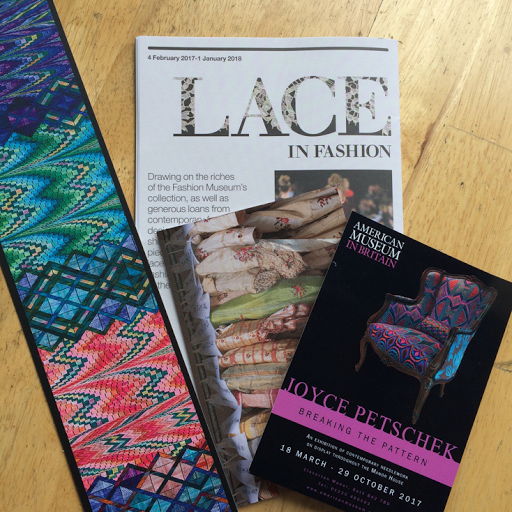 Whilst I was rummaging in the suitcase and getting ready to felt, these goodies popped though my letterbox from a friend who had just been visiting the wonderful Lace in Fashion exhibition at the Museum of Fashion in Bath. What a fabulous read! I’ve already booked a day in the diary to visit. I thought …. 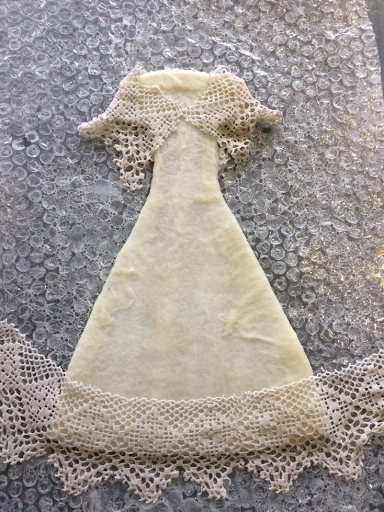 Dresses, Lace…. 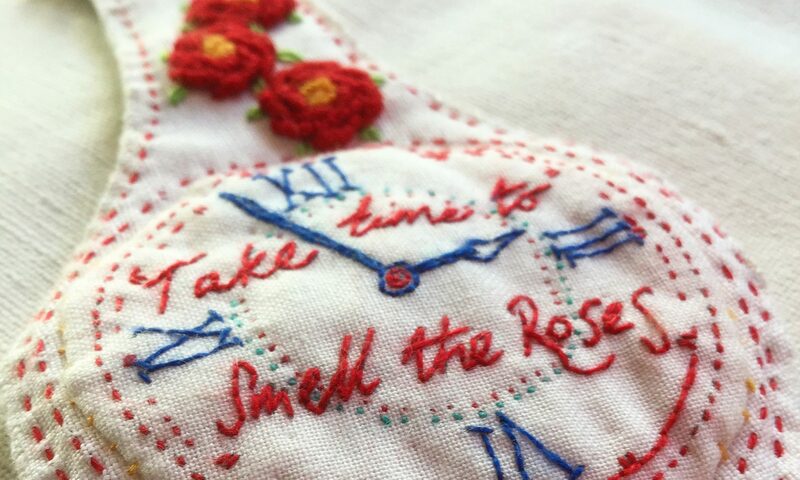 and then thought again …. 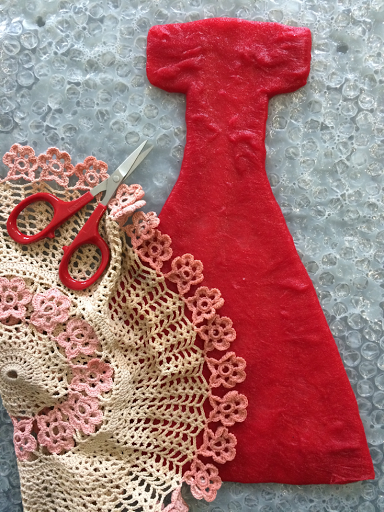 Dresses, Lace and came up with an idea. 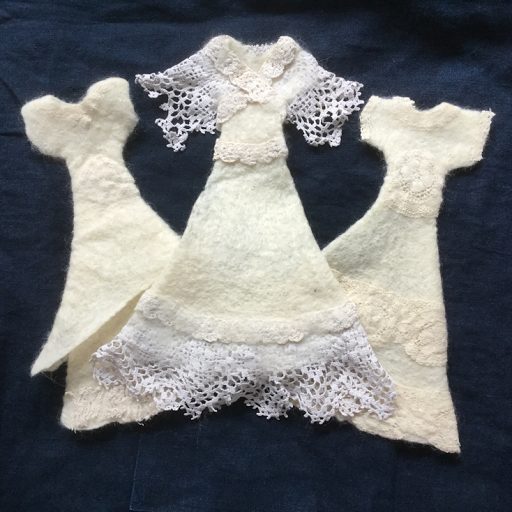 So for the afternoon’s makes I started creating a selection of nuno felted dresses from merino wool roving, lace and crochet doilies. 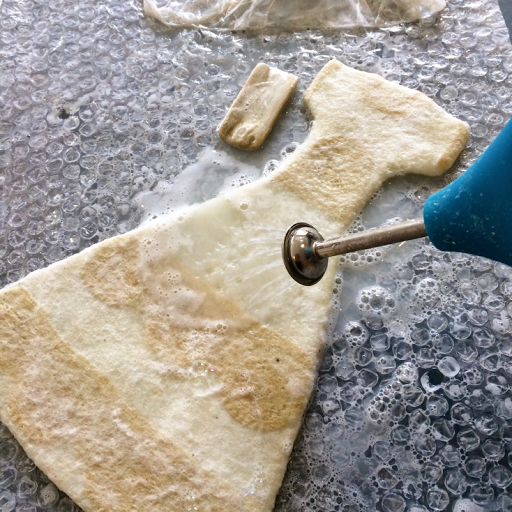 A bit sloshing about with soapy water later and I’d completed three little cream dresses. And my little red dress.